Thermal spraying is a collective term according to DIN EN 657 for the metal spraying process. Metal spraying is based on the interaction between kinetic and thermal energy. 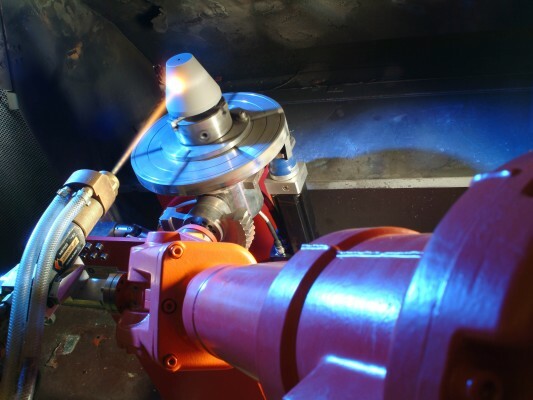 Thermal spraying includes processes in which the spray filler materials inside or outside flame spraying devices are surface fused, hot dipped or melted off and slid on prepared element surfaces. The surfaces do not melt during the impact of the particles. During metal spraying the elements and the flame spraying method must be selected according to the application to provide optimal coating in consultation with the client. To prepare the parts for thermal spraying, they are degreased, heated to approx. 100°C, blasted, and coated immediately afterwards to prevent under corrosion. Should metal spraying not be possible for the coatings, the treatment can be carried out by dry turning or dry grinding in specific cases. The final processing of the coatings in metal spraying can be done by turning, round grinding and finishing. In metal spraying the coating is often also done without post finishing. Surfaces treated with thermal spraying should then be lubricated or sealed depending on the use. 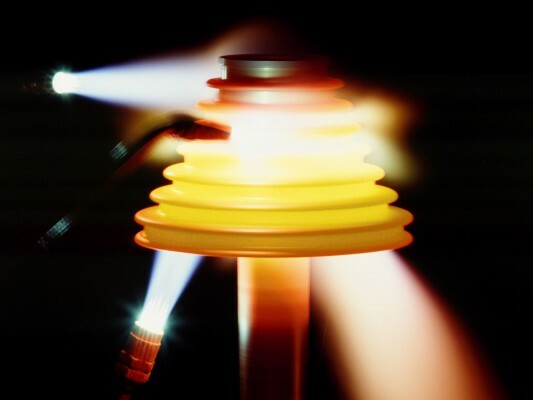 The most common method variants in thermal spraying are wire flame spraying, beam flame spraying, powder flame spraying with or without later fusion / self fluxing, high speed flame spraying, HVOF, arc spraying, cold gas spraying, detonation spraying and plasma spraying. 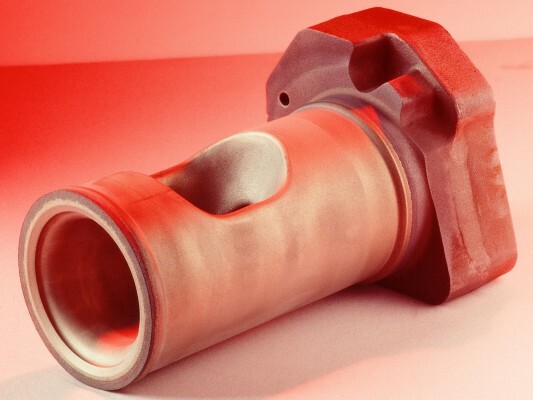 With the processing possibilities by using various devices in flame spraying, coatings in thermal spraying can be provided - targeted to requirements and application area - in molybdenum, steel, stainless steel, and NE metals such as copper, bronze, aluminium, zinc (spray zinc plating) etc. as well as oxide ceramics. Thermal spraying covers applications from repair of worn parts, saving old machines from being scraped and is also used for high technology. The possibilities of thermal spraying are certainly not exhausted yet and are always there for resolving technical problems. Thermal spraying is part of modern technology today.